The total of all the items (not on sale) came to $51.30 + tax. 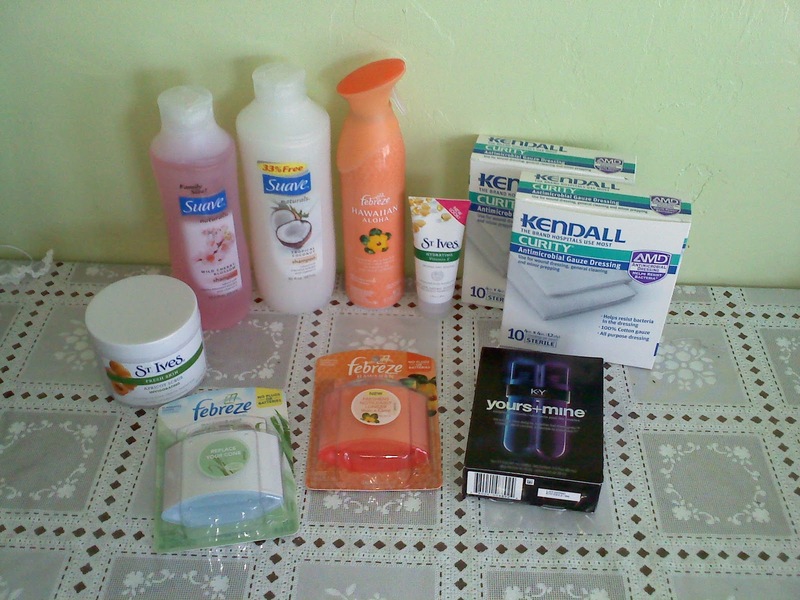 I got $10 in +Up rewards ($7 from the K-Y and (3) $1 from the Febreze) and a $3 SCR for the St. Ives Scrub. To view the details of how I scored such great deals, CLICK HERE. I was sad that they were out of the downy and the tide stain release…but I can’t complain! 🙂 Happy Shopping.